That’s what OGO member Matt just told me on the phone when he called our office to ask some particulars about Constitutional Carry. You see, Representatives Tom Brinkman and Ron Hood are introducing Ohio’s Constitutional Carry bill, and right now it is open for cosponsors. But the deadline for cosponsorship ends tomorrow at 5:00pm sharp! I explained to Matt that there were a lot of newly-minted State Representatives who promised during the campaign season that, if elected, they would sponsor or cosponsor the bill, but hadn’t yet done so. If your state representative isn’t on this list, they should be! After all, there are two priority pro-gun bills that Ohio Gun Owners is focused on and wants to see passed by our General Assembly: Constitutional Carry and Stand-Your-Ground! If you’ve got 5 minutes to make a few phone calls this afternoon to encourage these legislators to cosponsor the bill, that would be excellent. But don’t forget to make sure your own legislator knows you want them to cosponsor the bill! You can contact your legislator by clicking ‘Send My Message’ below, and as you’ll see we’ve made it easy for you to do so by pre-writing an email for you. It’s just a few clicks, press submit, and you’re done! After Representative Larry Householder’s election to Speaker of the Ohio House a few weeks ago, there has been an understandable period of uncertainty as Speaker Householder rearranges the committees and power structure. But regardless of which “team” is in control, one thing is clear: gun owners want to see a MAJOR pro-gun bill pass into law! 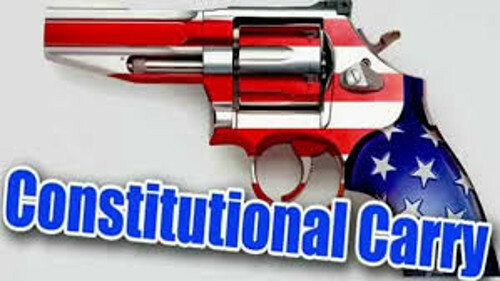 Constitutional Carry is a MAJOR pro-gun reform, just like Stand-Your-Ground law is. That’s why I hope you’ll take a moment to contact your legislator and tell them to cosponsor the Ohio Gun Owners Constitutional Carry bill. And if you can, please consider chipping in whatever amount you can afford to help us grow the grassroots army of Second Amendment supporters across Ohio that we know it will take to pass these reforms. Getting gun owners to come down off the bleachers and start working to defend and advance their gun rights takes resources. But unlike Bloomberg’s gun confiscation organizations, we don’t have a billionaire activist that underwrites the cost of our programs. So whatever amount you can afford to contribute, we’ll gratefully and immediately put it to prudent use. P.S. Is your state representative listed above as a cosponsor to the Ohio Gun Owners Constitutional Carry bill? If they aren’t, this is your chance to fight for you Second Amendment rights! Contact them now and ask them to sign on to the bill as a cosponsor using the ‘Send My Message’ button below! And if you are able, please consider chipping in whatever amount you can afford to help us mobilize more gun owners across Ohio. Congress to Take Up National Gun Registry Legislation TODAY!